In this in depth Gmail guide for eLearning professionals, I'll walk you through how to successfully use Gmail to develop and implement deliverables that help learners to connect, communicate, and collaborate in online learning environments. Gmail is, without a doubt, one of the most oft-used applications online. People from across the globe utilize Gmail to stay in touch with friends and family, keep track of upcoming events, and carry out business tasks on a daily basis. However, Gmail is also an invaluable tool that can be used by eLearning Professionals to enhance learning experiences in any educational or training setting. But how can eLearning professionals take full advantage of Gmail? 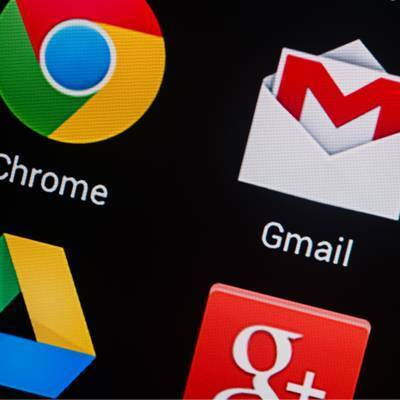 Check the following 8 Gmail Tips and do not hesitate to add yours by leaving a comment! Using Gmail in eLearning gives you the opportunity to create email progress reports for learners, course notifications (such as changes to a lesson plan), and reminders. Gmail also features a contact list that enables you to email large groups of learners at once, making it quick and convenient to send keep learners up to date about the latest course developments and to let them know how they are progressing. For example, you can send them the results from their most recent exam or give them an overview of what they have learned thus far. Some learners may find it more convenient to receive these important notifications via Gmail, rather than logging into the course or going to the learning site. Gmail also offers a chat and video features, which gives you the option to speak directly to learners if they should have any questions or concerns or to provide one-on-one tutoring sessions for those who may need further help with their studies. You can even host live learning events through Gmail Hangouts. During a Gmail Hangout event, learners can interact with you directly by typing in questions or comments. This adds another level of interactivity to online learning environments. You can also encourage learners to collaborate with another through Gmail Video. Ask them to carry out a real life scenario via the application, or request that they work through a problem-solving task together. This gives them the chance to learn from one another's experience and knowledge base while building teamwork skills. Best of all, Gmail offers group video calls for free. So, multiple learners can be engaged in the conversation at once, giving each the opportunity to benefit from the learning experience. Gmail offers an abundance of storage, and also gives you the option share important documents or files through Google Drive. With Drive, you simply upload the file from your computer and then send a message to the learner you'd like to share it with via Gmail. The message includes a link that gives them private access to the document, or group access if you want a certain circle of learners to be able to view it. This is ideal for group collaboration projects, as well as important eLearning assignments. If you want to be able to achieve more interactivity than a simple email can offer, you can use Gmail instant messaging to quickly communicate with learners and even other eLearning professionals (i.e. content developers or subject matter experts). During the instant messaging session you have the ability to share important website links, and address any questions or concerns. Learners can even conveniently message their peers if they need help with an assignment or want to collaborate on a project, given that Gmail will immediately notify them when a contact is online. You can download Gmail apps for your mobile device. This means that you can send and receive emails on the go, giving you the power to offer support to your learners at any time. You aren't limited to receiving or answering important messages, because you can simply use your mobile phone or tablet to gain access to your Gmail account. The app even gives you the option to work offline. So, if you don't have Internet access you can still write an email and then just send it when you reach a WIFI hotspot. You are able to create a signature that will be included in all of your emails, and this signature can be changed or updated at any time. As such, you can promote new learning opportunities, direct learners’ attention to a useful website, or tell them about an eLearning event that they might find helpful. Gmail enables you to stay on top of your email organization with labels, groups, and filters. This will allow you to sort your messages by categories. For example, you can create a category for learners who are enrolled in a particular course, and then another for learners who regularly attend your live learning events. This will help you to ensure that you can quickly send out messages to certain groups, without mistakenly sending them to a group who may not find the email helpful or useful. You can also find messages with ease with the filter feature. You can filter the emails you've sent or received based upon certain keywords, making it simple and straightforward to access important information or correspondences. As you can see, Gmail has a wide variety of uses in eLearning. Not only can it make life easier for facilitators, Instructional Designers, and eLearning professionals (especially those who are trying to encourage a more interactive and collaborative learning environment quickly), but it also offers learners the chance to access a wealth of resources, information, and peer experience.